Top 10 Best Summer Beauty Products! It’s officially summertime! Hopefully yours will be filled with beach days, bonfires, surf seshes and good vibes. With the hotter days, it can sometimes be hard to stick with your regular beauty products. Here are just some of my favorite beauty products that transition perfectly from spring to summer and that won’t break the bank! Happy Summer!! 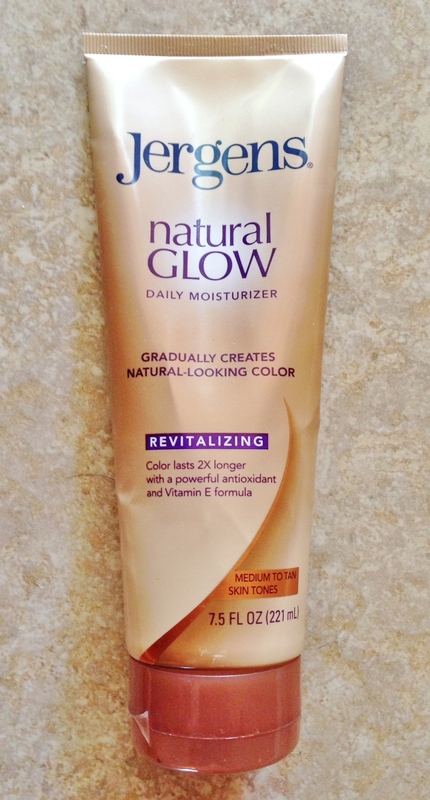 This is my go-to product if I ever feel like getting a more natural looking tan (especially in the winter months!). I’ve never been to a tanning salon, laid in a tanning bed, or gotten a spray tan. This moisturizer from Jergens gives me natural-looking color without turning me orange which is a huge plus when it comes to tanner. With different options for fair, medium and tan skin tones, this lotion is safe, effective and long-lasting! 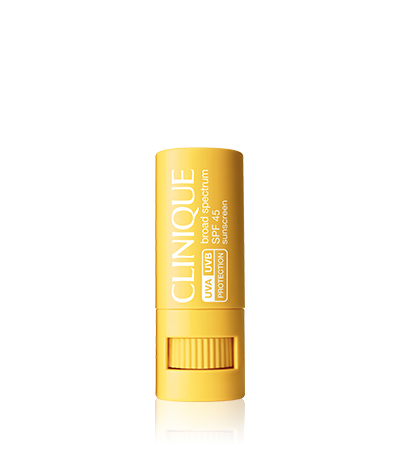 This sunscreen stick from Clinique is a must for any beach bag! With SPF 45 and UVA protection, this small tube is perfect for touching up your face. It’s also oil-free so it won’t leave your skin feeling slimy or greasy. I throw it in my bag when I know I’ll be out in the sun that day, but it’s also great for a day on the lake or even while snowboarding in the winter to protect your face from the sun’s harmful rays. I really can’t say enough good things about this product. Although my hair is naturally wavy, this spray from Bumble and Bumble is great for achieving those bouncy, beachy waves when you don’t have time to actually make it to the beach. Added bonus: it smells amazing! This line of chapstick from Maybelline has grown in both popularity and variety since its launch. 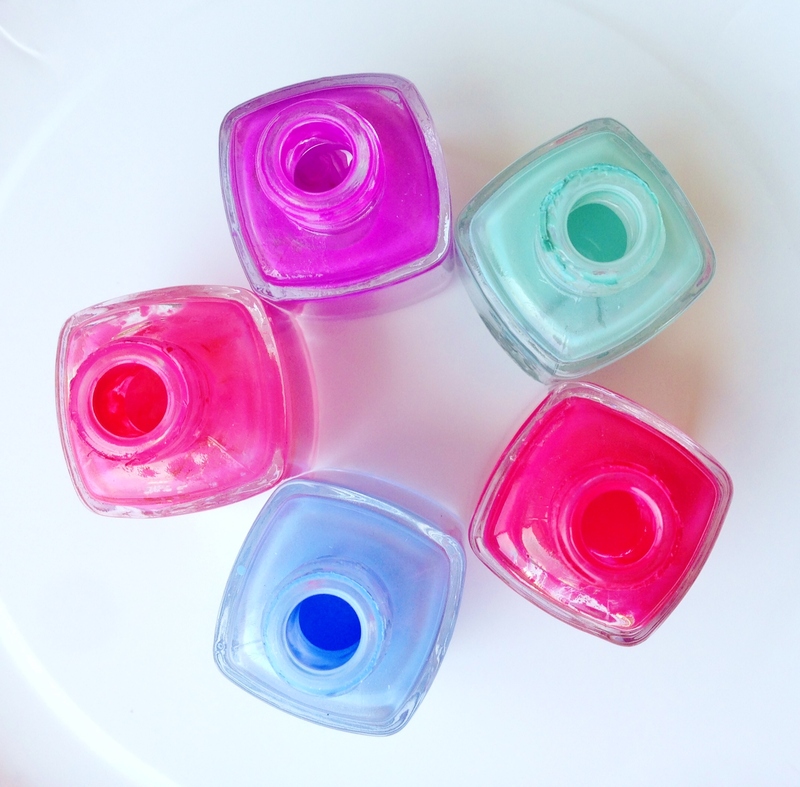 Along with the original shades, the line now includes Electro and Dr. Rescue choices. I’ve also seen some limited edition flavors at various drug stores and online. A few of their chapsticks also have SPF 15 which is perfect for the hot summer months. My favorite thing about these lip balms is the shades aren’t too drastic so you can get a subtle pink lip or even a darker shade depending on how you’re feeling that day. Summer means hot sand beneath your feet! If you’re like me, you walk around barefoot in the summer a lot more and that can mean rough feet. 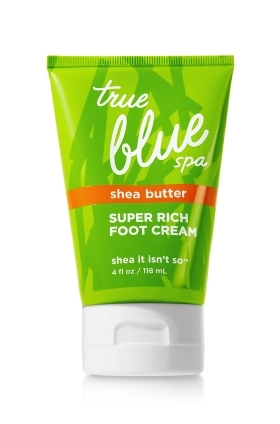 This foot cream from Bath & Body Works is super moisturizing even for the hottest of days. I like to use mine at least once a week to keep my feet and toes feeling soft. Tip: put socks on after applying so it can really soak into your skin! Sunburns are probably the only bad thing about summer. More time in the sun means more exposure to its rays. While I always wear sunscreen, sometimes I can’t help but get a little crispy. 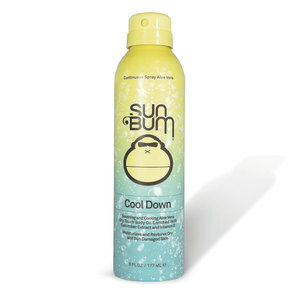 This Aloe Vera ‘Cool Down’ spray from Sun Bum is great after a long day in the sun and prevents peeling. With Vitamin E and Cucumber Extract, this spray doesn’t leave your skin greasy and it smells pretty dang good! Although I generally wear much less (if any) makeup during summer, it’s a great time to wear your brightest color. My favorite beauty essential for summertime is waterproof eyeliner because it only takes two well placed swipes to be ready on-the-go! 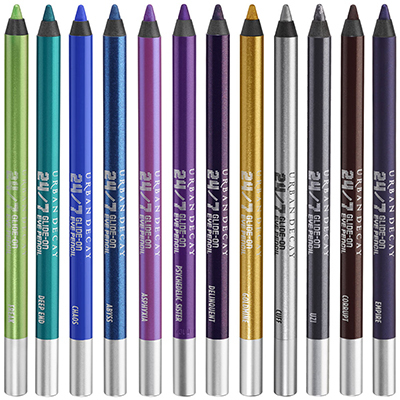 This eyeliner from Urban Decay comes in 12 different shades and doubles as a pencil sharpener as well. Since the liner is creamy, it glides on easy and stays on through the chlorine and salty ocean water. Whether I’m at the beach, wakeboarding, surfing or just swimming, I need my hair pulled back and out of my face. 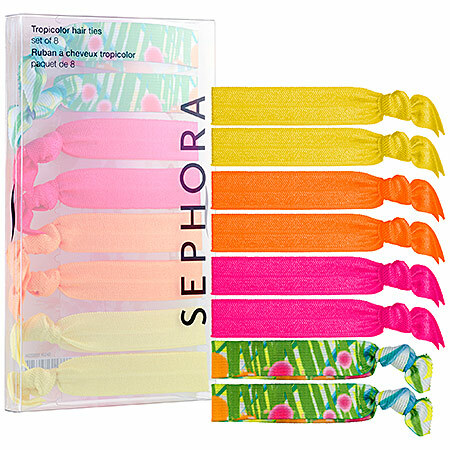 These ribbon hair ties from Sephora are colorful and won’t leave creases in your hair after a long day in a ponytail. Throw them in your beach bag or just wear them on your wrist as a bracelet so you always have one when you need it! Because of all the chlorine, ocean water, sun exposure and ponytails, my hair definitely takes a beating during the summer. 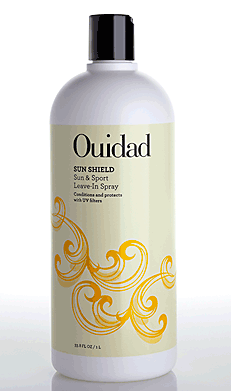 This leave-in conditioner spray from Ouidad protects your hair from sun damage and keeps it moisturized while you’re off playing in the sand! love all these picks! i’ve never seen an aloe spray, looks so awesome and useful!